The Times found success with its first round of paywalls, disappointment with its second. Is it hitting a paid-content ceiling? Benton, Joshua. 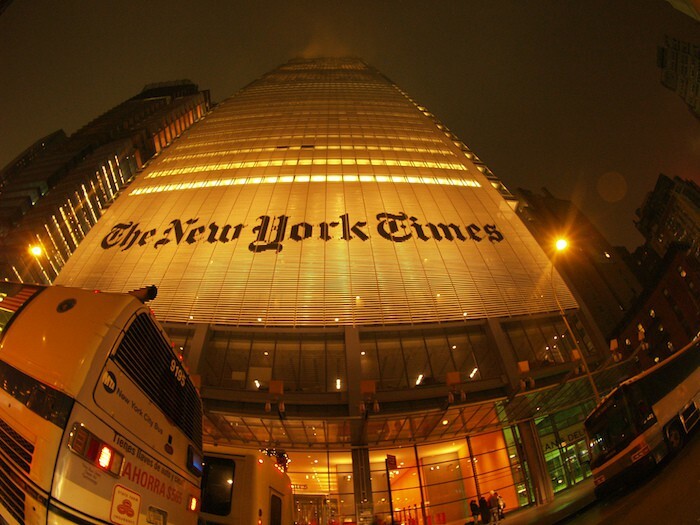 "The leaked New York Times innovation report is one of the key documents of this media age." Nieman Journalism Lab. Nieman Foundation for Journalism at Harvard, 15 May. 2014. Web. 20 Apr. 2019. Benton, Joshua. "The leaked New York Times innovation report is one of the key documents of this media age." Nieman Journalism Lab. Last modified May 15, 2014. Accessed April 20, 2019. https://www.niemanlab.org/2014/05/the-leaked-new-york-times-innovation-report-is-one-of-the-key-documents-of-this-media-age/.